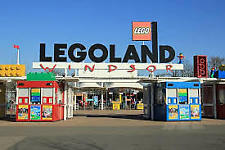 Join Shawn & Alex as we head to LEGOLAND Windsor for our first visit of the 2019 season! 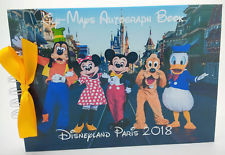 With us owning Merlin Annual Passes, we were able to visit the park for an exclusive event, allowing us to be some of the first people to visit in the park in 2019. In this vlog we share a mix of on and off ride footage from many of our favourite rides at LEGOLAND Windsor. This includes POV's from Atlantis Submarine Voyage, Laser Raiders and Ninjago The Ride. 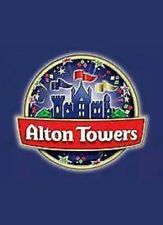 We also share off ride footage from many of the other attractions at the park along with taking a look at the different changes for the new season. This includes a construction update on The Haunted House Monster Party, a new dark ride opening in April! Coming up in this episode of The Theme Park News Show, I share more details from Hagrid's Magical Creatures Motorbike Adventure that's opening at Universal Orlando Resort. I also share some exciting news from Liseberg, check out construction updates from Fury at Bobbejaanland, and much more! The Theme Park News Show is also home to segments called "Where Am I" and "Your Theme Park Moments". 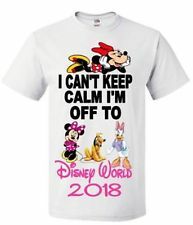 Both of these allow you to interact with us here at Theme Park Worldwide with the opportunity to guess the theme park I'm in along with sending in your photos from the theme parks. I’m a bit confused by this, but damn if these new pictures of Colossos at Heide Park don’t look incredible and frightening at the same time, as we witness the awakening of a new dark power. I can’t wait for the official final reveal of what is going on here, because Colossos looks awesome! Walt Disney World caught up with Larry the Cable Guy to talk about the Cars franchise, as well as the new Lightning McQueen Racing Academy show experience set to open at Disney’s Hollywood Studios on March 31st. Midway Mayhem nabbed some incredible video footage this week when he caught the new Hagrid’s Magical Creatures Motorbike Adventure coaster making test runs after-hours. He caught the train making several test runs over and over, catching a peek at the trains as they run up to the top of that tall spike section before rolling backwards. After the digital correction and light enhancement of still franks, they managed to get a good look at the train’s motorcycle themed cars. Later on they also caught it making test runs through a different section of track as well, so keep watching. Join me as I spend the day in Disneyland Park as I experience the festival of Pirates and Princesses! Along with sharing highlights from the different shows during this event, I also take you on board some of my favourite attractions in Disneyland Park. These include Big Thunder Mountain, Hyperspace Mountain, Pirates Of The Caribbean and many more! As the sun shines across Disneyland Paris I capture the wonderful atmosphere throughout the 5 themed lands along with a look at some of the new merchandise for 2019. 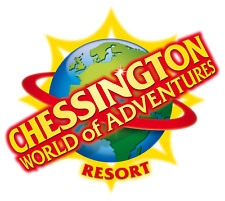 Join us as we head to Blackpool Pleasure Beach to start the 2019 UK theme park season! Along with taking a look at all of the changes across Pleasure Beach, we also share a mix of on and off ride footage from some of our favourite attractions across the park. The sun was shining as we experienced ICON, Valhalla, The Big Dipper and many more of our favourite rides at the park. Some rides did have reliability issues throughout the day, however we still had a fantastic time with great company and as always it was great to see so many great friends and fans of the channel! Wow weekends run up until the end of March with discounted wristbands available to purchase from the Blackpool Pleasure Beach website. 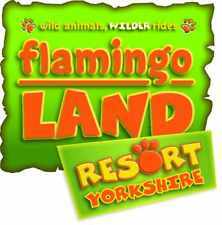 We look forward to returning in two weeks time to film another vlog and experience the rides we didn't get chance to do today. SeaWorld San Diego’s SkyRide shut down in mid ride earlier this week after a freak wind storm blasted through the area, trapping 16 riders in mid-span from about 7pm to 11pm. From what I’ve heard the ride shut down when a safety sensor was tripped as a section of the ride’s cable had came out of the the groove on one of the sheaves (the wheel like things at the top of the towers that [COLOR=#1B8EDE !important]guide[/COLOR] the cable), rolling inward and striking the sensor. As the SkyRide was my old stomping ground when I worked at the park, I can tell you normally if the ride shut down for any kind of reason, if the safety sensors rechecked as being good you could still pull the cars slowly around the course via a backup gas-powered VW motor, but since the cable was blown off course in an unsafe area, the only means left was to call in the rescue teams who go out via boat to the ride’s two towers, climb about 90 feet up the ladder to the top and with climbing gear, they have to go out over the cables to each car, enter, and rig up a rescue system to lower each guest individually down to a waiting boat below. I’ve seen it done myself when I worked there, as we did test rehearsal drills with the fire department. The ride also features a constant wind monitor that sends information to the operators in the station, and will sound an alarm if it gets over a certain speed, with different speeds set for each direction that if I recall, ranged anywhere from 14 to 28 mph. Unfortunately, the word I’ve been hearing is that a sudden gust sprung up out of nowhere with reported speeds up to 50 to 60 mph that rocked one of the cars as it was going over a tower and caused the cable to roll off and hit the sensor. By about 11:15 all 16 riders have been safely lowered back to the surface. I’d expect the SkyRide to be closed for a bit to repair any cable issues, as well as undergo all new inspections and safety certifications, but everything appears to have worked exactly as designed, keeping everyone safe and sound. It sounds like the freak wind blast affected all areas of the city, as riders on a hot air balloon ride at the San Diego Zoo Safari Park also were caught off guard in mid flight and given a bit of a scare. Disney announced some fascinating new items coming to Epcot in the near future just a little bit ago. The news included the confirmation that a new “First-of-its Kind” Play Pavilion attraction was coming and would inhabit the inside of the former Wonders of Life pavilion in Future World. The new pavilion will be devoted to “playful fun and feature an innovative city that’ll come to life”, “bursting with interactive experiences, your favorite Disney characters, hands-on activities and engaging entertainment”. Look for it to open to guests in time for the 50th anniversary of Walt Disney World. Disney confirmed that the entrance plaza to Epcot will soon be remodeled. The revised entrance plaza will be themed into a lush area with sweeping green spaces, new pathways and a reimagined fountain that will “pay homage to the original park entrance with fresh takes on classic elements”. As long rumored, the Leave A Legacy monuments will be removed from this area, however Disney will not scrap them, instead they will be moved into a new beautiful setting just outside the park’s gateway.